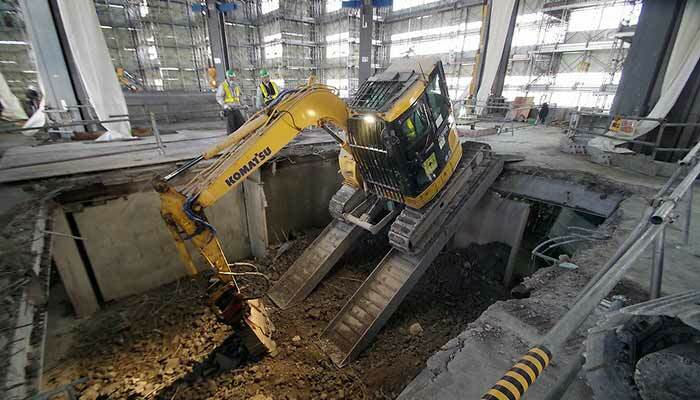 Super jumbo industrial grading machine. 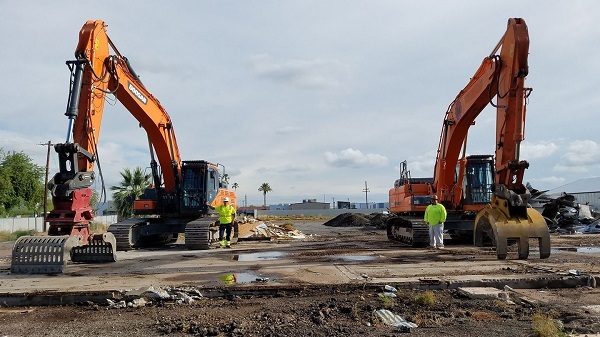 Marrs Demolition + Grading is a Phoenix grading Company, a full service contractor specializing in Industrial, Commercial, and Residential grading Projects. 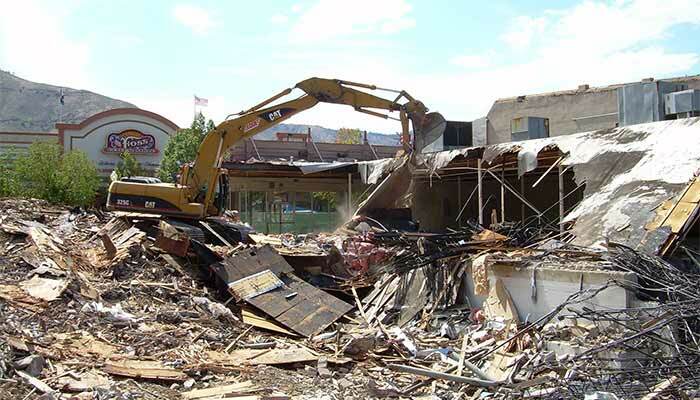 Marrs Demolition + Grading a Phoenix grading Company has served Arizona since 2002 and are capable of handling any size project in the Arizona. 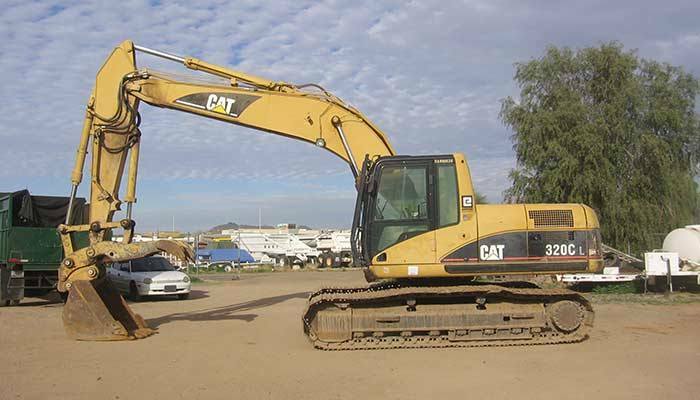 We own and maintain a fleet of heavy equipment with all the modern attachments for all types of grading. 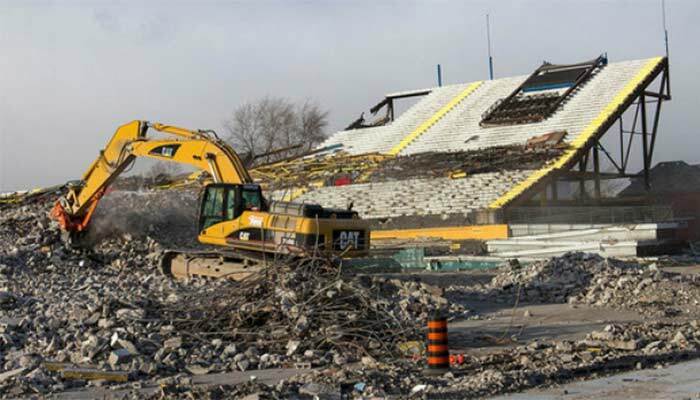 We consider it a privilege to be in this business and love to solve complex grading, remediation and recycling projects. We treat all of our customers as if they were family and would love to make you a part of ours. 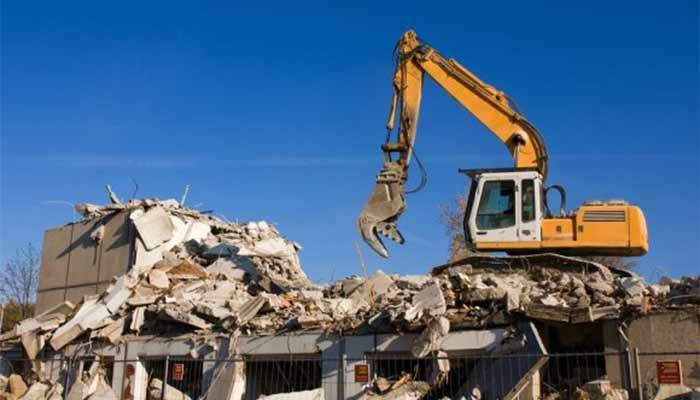 At Marrs Demolition + Grading, we take the health of our environment very serious and recycle, re-purpose or reuse construction materials at every chance. 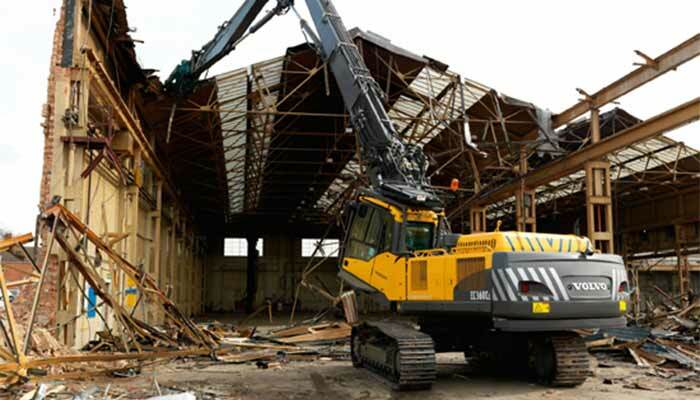 We are capable of demolishing high rises, industrial plants, smoke stacks, malls, apartments, hotels, bridges, single family houses and most anything else. We look forward to serving you or your company soon. Please don’t hesitate to contact us for any of your grading needs. Flawless! 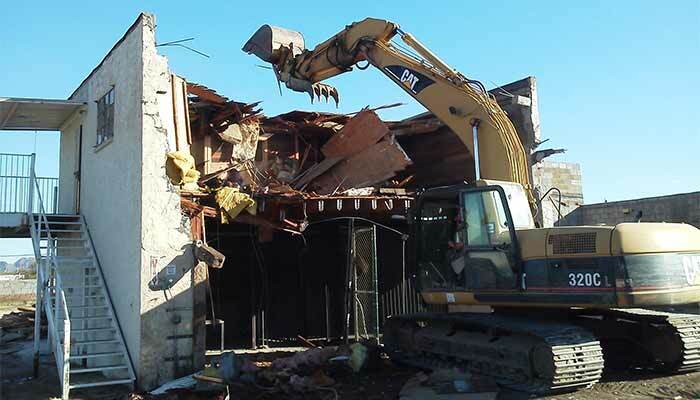 I had to demolish a part of the house and they came, did all the necessary inspection, they prepare the documentation and the day of the job, came on time, perfect work and everything cleaned up at the end. I strongly recommend this company! Copyright © 2017 Marrs Demolition + Grading. All Rights Reserved.